If you are an entrepreneur or a businessman, and you didn’t get a chance to impress your corporate clients for Christmas, don’t let go of this opportunity, and go ahead and impress them this Chinese New Year. Look around for the best, top quality products, which the client would be grateful to receive. Grab this opportunity and pick up some valuable gifts for your corporate associates and make this Chinese New Year memorable for them. There is no better gift than picking up a wonderful Chinese New Year hamper. Hampers include a number of variety of goods and items which everyone would love to receive. 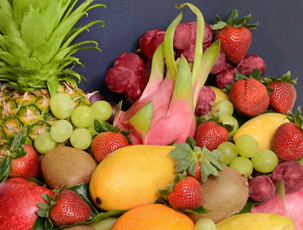 Pick your choice from fruit hampers to gourmet hampers, and you will never go wrong. We have an exclusive Chinese New Year Early-bird Promotion for early shoppers. One can avail 10% discount along with free delivery by applying the Discount code: CNY2019 at the time of checkout. This offer is valid only till 21st January, 2019. So what are you waiting for, go through our collection of Chinese New Year Hampers and order them now. Share your wishes and love for Chinese New year by sending across this luxurious fruit hamper. New Year Appreciation is an interesting snacks and tea hamper. You can choose from a variety of Gourmet like Fine Cheese Company Gluten Free Water Crackers along with Castaing Terrine De Cannard (Duck Terrine with Armagnac) Pate or 18 pieces of Bakerzin Pineapple Tarts or 8 pieces of Thye Moh Chan Pineapple Pastry. The hamper includes Pukka Organic Tea and a variety of fruits like Apples, kiwis, oranges, pears, citrus, pineapple, blueberries etc. They all are packed in a classy Gift Hampers Singapore Premium CNY Round Basket. 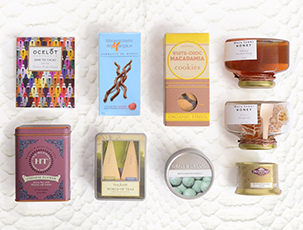 Kick start the New Year celebrations with this hamper filled with delicious treats. Land of Gold is a premium gift hamper which you can gift your corporate associates. The hamper gives a choice between wine and champagne. The hamper also includes dried red dates, dried Ginseng, Premium dried mushrooms, premium snow or crystal fungus and imperial white fungus. Also included are New Moon Abalone in Brine 4-7pcs, New Moon Pacific Clams, Dried Fish Maw and Cordyceps Sporophore. Carefully handpicked gourmet goodies for your near and dear ones. Golden Harmony is an ideal gift for your corporate associates this Chinese New year. This hamper celebrates new friendships and strengthens the old bonds. Beautifully packed in a CNY traditional basket are Eu Yan Sang Essence of Chicken with Goji Berries & Red Dates, Premium Dried Mushroom, Sky Dragon Mini Abalone, Lee Kum Kee XO Sauce along with Home’s Favourite Traditional Pineapple Tarts. Wish your corporate associates a year of wealth, prosperity and good health with this Fortune Awaits New year Gift Box. The Gift box is packed with a choice of wine or champagne along with imperial White Fungus, New Moon King Top Shell, New Moon Abalone in Brine, New Moon Abalone in Brine, New Moon Pacific Clams, New Moon Razor Clams, New Moon Buddha Jump over the Wall and Premium Dried Mushroom.